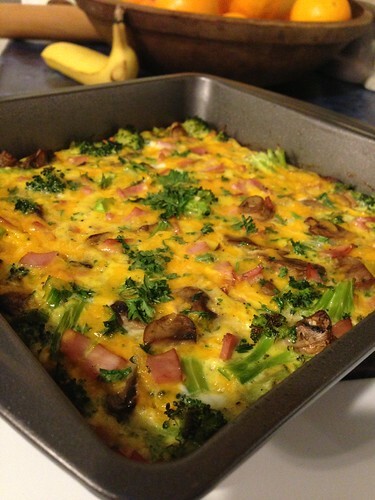 The inspiration for this dish came from the recipe Cheddar Broccoli Quiche. I added ingredients to mine that make it a different dish. Following is my version. 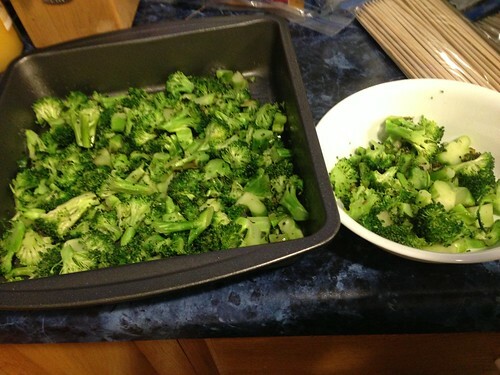 Sauté the broccoli (and onion, if using) in the canola oil, until bright green and still crunchy. Remove from pan and layer in a greased 9×9 pan. Sauté the mushrooms in the same pan. Use some spray oil, if necessary. 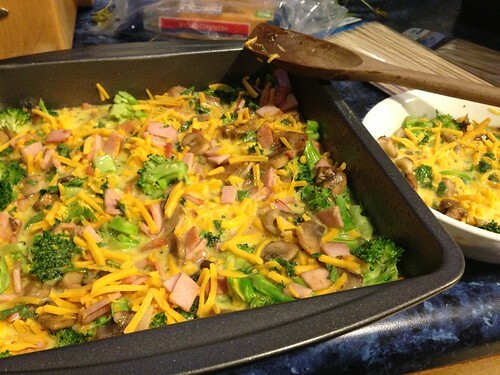 Remove from pan and layer over the broccoli. Sauté the Canadian bacon in the same pan, until lightly browned on the edges. Remove from the pan and layer over the veggies. Layer shredded cheddar cheese over the bacon and veggies. Mix the remaining ingredients, whisking until well mixed. Pour over the vegetables, bacon and cheese. Bake in a 350* oven for 25-30 minutes, until egg is set and top is lightly browned. 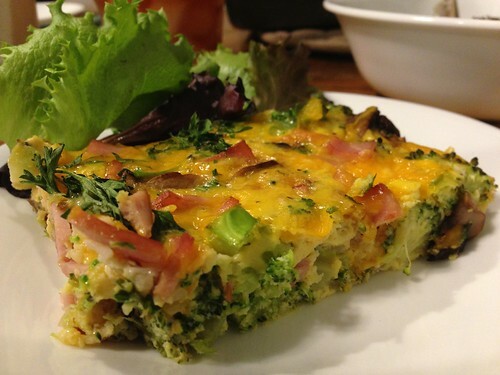 This quiche can be made in a homemade or store-bought crust, if desired. When I made the dish, I put part of it in a greased cereal bowl because my youngest daughter wanted hers without meat. If I had put that amount into the main dish, the resulting quiche would have been a bit thicker. And, yes, you could sauté the broccoli, onion, mushrooms and even the Canadian bacon at the same time, but by doing the mushrooms and meat separately, you can control the cooking time. 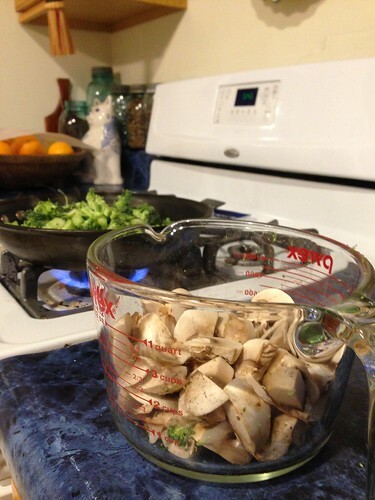 Mushrooms should be sautéed a few at a time, rather than the entire two cups at once. That way, they will brown and not just steam cook, due to the amount of moisture in them. You can switch out the veggies for something you like better. Even the cheese can be changed out. Make it any way you like! Leftovers keep well in the fridge and can be reheated for breakfast or a light lunch. This entry was written by ~~Rhonda, posted on January 30, 2014 at 3:18 pm, filed under Recipes. Bookmark the permalink. Follow any comments here with the RSS feed for this post. Post a comment or leave a trackback: Trackback URL.